We are the social development and human rights advocacy arm of the Church of Christ in Thailand (CCT). We work to mobilize and empower church and other local leaders across the country to address social problems in their own communities. We accomplish this primarily by providing training, planning and project coordination services to the CCT’s nineteen district churches throughout Thailand. The SDSU works with local leaders every day to alleviate the problems that affect our country. We and our partners help migrant workers from rural areas and neighboring countries to secure and utilize their legal rights. We work to educate people on the urgent challenge of climate change. We help people in poor communities set up group savings programs, enabling them to come together to improve their own economic circumstances. And we manage an education and service center in the impoverished Klong Toey slum in Bangkok. Providing training for leaders of CCT district churches and other community leaders to help them design, implement and operate programs to address urgent social and economic problems in their own communities. Providing local leaders with ongoing support, counseling and “best practices” information to help them develop and sustain these programs. Work to educate and assist disadvantaged people in the impoverished Klong Toey area of Bangkok through the SDSU’s Klong Toey Development Center. The SDSU also coordinates emergency assistance to communities throughout Thailand in disaster situations. Building up our own internal capabilities and training / implementation methodology so that we can serve as a more effective resource for our local partners. The Social Development and Service Unit (SDSU) of the Church of Christ in Thailand was formed in 1977 to bring all of the Church’s community development and human rights activities together in a single organization. The group operates through two divisions: the Division of Church and Community Development and the Development and Service Center Division. The Division of Church and Community Development works with local leaders across the country to implement social development programs, including human rights, anti-drug and environmental programs and savings groups. This division works directly with the CCT’s district churches, which in turn train and supervise leaders at local churches. The Development and Service Center Division operates our education and service center in the impoverished Klong Toey community in Bangkok. The Service Center provides crucial educational services for kindergarten-age children, runs sports programs for children and young adults. Service Center staff also help elderly and physically handicapped residents in Klong Toey to visit hospitals and receive medical care as needed. Nearly 50% of the CCT’s members are tribal people and ethnic minorities, including Karen, Hmong and Lahu. Many of these members face a constant struggle to achieve equal rights under Thai law and equal opportunities within Thai society. For many members of Thailand’s ethnic minorities, however, registration for citizenship can prove to be extremely difficult. Many ethnic minorities live in rural areas where access to government agencies is limited. Others lack the proper documentation to fulfill the registration requirements. Language barriers can also present a problem, as many members of ethnic groups speak their own dialects and cannot communicate in Thai. Without labor and land ownership rights or full access to healthcare and education, unregistered members of ethnic groups frequently find themselves left behind or vulnerable in Thai society. The SDSU is working to mobilize local church and community leaders to help members of ethnic minorities complete their registration as Thai citizens, in conjunction with the CCT Church Committee for Human Rights. In 2008, we and our partners helped 252 people to register. Hilltribe Migrant Worker Issues: Many hilltribe people and members of ethnic minorities from impoverished rural areas leave home each year in search of work in the cities. The opportunities available to these migrant workers in the cities, however, are severely limited. Some find work in gas stations or on construction sites; others resort to selling homemade items on roadsides or at traffic intersections. Some will find themselves pulled into drug trafficking. The SDSU and its local partners are working together to alleviate the problems facing migrant laborers. We conduct seminars on labor laws for migrant workers and help them understand where to go if they find themselves in an abusive employment situation. We train leaders in local migrant communities on conflict resolution techniques. And we consult with these leaders to resolve specific problems in each migrant neighborhood, including labor abuses and conflict resolution with other neighboring communities as needed. Through our efforts, we hope to enable migrant workers to become better integrated with Thai society and to enjoy full protection under Thai law. In addition, the SDSU participates each year in International Indigenous People’s Day, sponsored by the Community Organizations Development Institute. The goal of this event is to educate people in Thailand about the history and culture of the hilltribes in hopes of improving relations between hilltribe communities and other Thai citizens across the country. The event includes seminars on the challenges hilltribe members confront as migrant workers, as well as shows, dances and exhibits about hilltribe culture organized and performed by each ethnic group. Cross-Border Migrant Worker Issues: In addition to our work with indigenous migrant worker communities, the SDSU works closely with local leaders in border areas such as Mae Sai and Mae Sot to address issues affecting Thailand’s large population of migrant workers from other countries. We work to educate local leaders on human rights laws pertaining to cross-border migrant workers, as well as labor and immigration law and current political events. We also provide documents on these issues to the workers themselves. In addition, we work with other NGOs to sponsor events and activities like International Labor Day, which aids cross-border migrant workers in their efforts to obtain fair and humane treatment in Thailand. And we assist local churches in the border areas in planning and executing their own activities to support migrants from other countries. Approximately 70% of Thailand’s population lives in rural areas and supports themselves via agriculture. Unfortunately, faced with the rising cost of seeds, fertilizers and insecticides, many farmers are not able to produce enough to meet their expenses. These farmers are frequently forced to take on crushing debt burdens from local loan sharks, sometimes at interest rates of 20% per month or more. Some farmers sell what property they have to make their loan payments; when the property is gone, they move to the cities in search of work. Many members of the Church of Christ in Thailand face these difficult circumstances as well. One of the SDSU’s core missions is to organize community savings groups as a means of helping these members regain their self-sufficiency. Participants in the savings plans learn to set aside a small amount of their income each month. The accumulated capital is then redeployed within the community to fund farming projects and other beneficial economic activity. Each participant shares in the interest generated by the savings group. In this way, local savings groups help rural communities break the cycle of debt and dependency. With the SDSU’s help, local church and community leaders established six new savings groups in 2008. Each group is run by a committee of local participants. The SDSU provides training to these committees on how to set up and run the plan, as well as on making wise loans within the community. Savings groups are open to non-CCT members, and are encouraged to make loans based on Christian principles of love and brotherhood, in addition to the recipients’ ability to repay the loan. The SDSU believes that stewardship over our natural resources is a responsibility given to us by God. With that in mind, we are working every day with other concerned groups in Thailand to combat the threat of global warming. In 2007, we established the Stop Global Warming Network in conjunction with other church groups, government organizations and NGOs in northern Thailand. 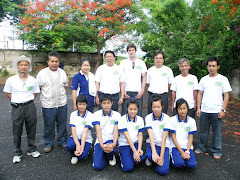 Member groups include the Chiang Mai YMCA and Sacred Heart College of Chiang Mai. Currently, the network includes 56 member organizations, up from 24 just two years ago. Members of the Stop Global Warming Network work together to educate their own constituents on responsible stewardship of the environment, including recycling and reducing personal energy use. Members also promote awareness of global warming issues through activities like Earth Day, which includes educational exhibits, seminars, a youth-focused music competition and a concert. Earth Day organizers include the Chiang Mai YMCA, Sacred Heart College of Chiang Mai, the Regional Environmental Office of the Royal Thai Government’s Ministry of Natural Resources and Environment (Chiang Mai) and Kad Suan Kaew shopping center. Other events organized by the Stop Global Warming Network include Car-Free Day and Thai Environment Day. We are also working to stop the ongoing threat of deforestation in Thailand, which contributes to global warming. Between 1976 and 1987, Thailand is estimated to have lost about 28% of its forest cover, equating to losses of about 3% per year. Since 1989, improvements in government policies – including better controls on logging – have reduced this alarming trend, but the problem continues. This widespread loss of trees contributes to a number of problems in Thailand, including increased flooding, air pollution and damage to indigenous wildlife, as well as accelerating the threat of global climate change. The SDSU is working to alleviate the problem of deforestation in Thailand by working with local churches and other members of the NGO community to raise awareness of the importance of conservation. 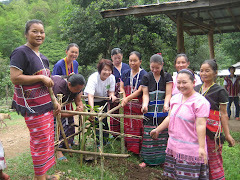 The SDSU works with local church leaders in hilltribe communities to encourage responsible usage of natural resources. SDSU staff members also participate in tree-planting activities and help local churches organize their own tree-planting campaigns throughout the year. In the last few decades, Thailand has seen rising levels of drug abuse. Some people in impoverished areas turn to drugs as a form of escape; others are pulled in by peer pressure or boredom. The most widely-abused drugs are heroin and a highly addictive mix of methamphetamine and caffeine called yaba (or “crazy medicine”), which can lead to psychosis and other severe health effects after only a few months of use. Despite tough drug laws in Thailand, drug abuse continues to present a major problem for the country. CCT church communities are affected by this issue as well. Many members of the church struggle with poverty, and some turn to drugs to escape the difficulties of daily life. Young members are sometimes pulled into drug use without understanding the risk of addiction. Alcohol abuse is also common. The SDSU is working to alleviate the drug problem in local communities. We provide training and capacity-building support for the CCT’s Church Network for Drug Prevention in Northern Thailand, which in turn works with local church leaders to combat drug abuse. The Church Network for Drug Prevention conducts training for local leaders on identifying potential warning signs of abuse; providing at-risk members with healthy alternatives to drugs; identifying treatment options; and convincing drug users to seek help. The SDSU also works with other NGOs and government agencies to generate financial support for local churches’ anti-drug programs. Through our work with the Church Network for Drug Prevention in Northern Thailand, we’re getting kids involved in sports, music programs, and other healthy activities, and providing people in impoverished communities with a way out of the nightmare of drug addiction. In Bangkok’s massive Klong Toey slum area, poverty, drug abuse and crime are rampant. Conditions are often dangerous and unsanitary, with open sewers winding through residential areas and uncollected garbage strewn about the narrow lanes. Hunger is a constant threat. Hope is scarce. Through its Development and Service Center Division, the SDSU is working to provide education, access to healthcare and sanctuary to people in the Klong Toey slum. We teach kindergarten to local children from broken homes and remedial students based on the Montessori curriculum. Subjects include math, reading, writing, physical fitness and health; we also teach English and basic computer skills. We provide tutoring help and home visits to children who need additional assistance. Our educational efforts also include artisanal / vocational training for unemployed adults and those who would like to supplement their income. In addition, the Klong Toey Service Center provides sports programs for young people, including regular football games for children and weekend swimming activities. These sporting activities build self-esteem and teamwork, and give young people in Klong Toey a healthy alternative to the drug abuse and crime they see in their communities each day. The Service Center also provides exercise facilities for both adults and young people. Staff at the Service Center also help senior citizens and physically handicapped members of the community get access to healthcare. Due to physical disabilities or a lack of transportation, some older and handicapped people in Klong Toey are unable to visit a doctor when they need medical care. We visit about ten members of the slum community per month and take them to visit doctors as needed. Through the Klong Toey Service Center, the SDSU is working to improve the lives of many people suffering from poverty, sickness and crime.